"Terming a phone call between Pakistani FM & Mirwaiz Umar Farooq sahab as anti-India has reduced ties to an unbelievable nadir," Mehbooba said in a series of tweets. "A foreign policy dictated by the compulsions of electoral politics is shockingly pathetic," the former chief minister of Jammu and Kashmir added. 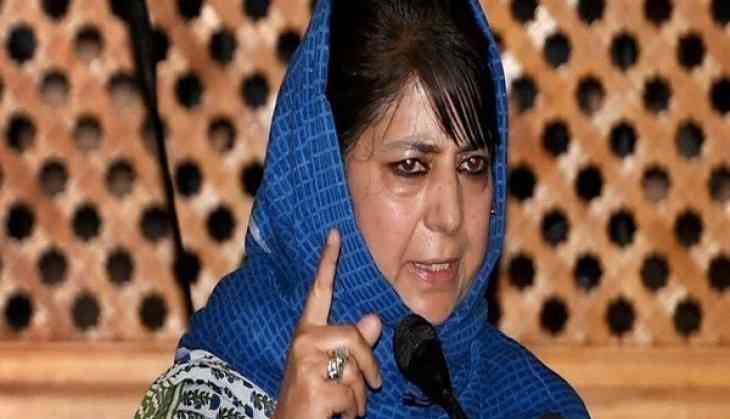 Referring to past engagements between Pakistani officials and Hurriyat leaders in the state, Mehbooba said it was in the Atal Bihari Vajpayee-led NDA regime that meetings between separatists and Pakistani officials were facilitated. "Ironically it was the NDA under Vajpayee ji that facilitated meetings between Hurriyat leaders & Pakistani dignitaries plus allowing them to visit Pakistan to hold talks with the establishment including the then president General Musharraf," she said. Foreign Secretary Vijay Gokhale Wednesday summoned Pakistan's envoy Sohail Mahmood and categorically told him that Qureshi's telephonic conversation with Mirwaiz was a "brazen attempt" to subvert India's unity and violate its sovereignty and territorial integrity. The Ministry of External Affairs, in a statement, said the Pakistan High Commissioner was "cautioned" that persistence of such behaviour by Islamabad will have "implications". The Pakistan Foreign Office had on Tuesday said Qureshi spoke with the Hurriyat leader and apprised him of the efforts of the Pakistan government to highlight the Kashmir issue.